Artec is currently a home based studio in a 1950s style ranch. The control room is conected to a large hard wood floored room (24ft x 15ft) that is great for drums or bands as well as a smaller less live space (8ft x 15ft) that we use for vocals or guitar cabs. 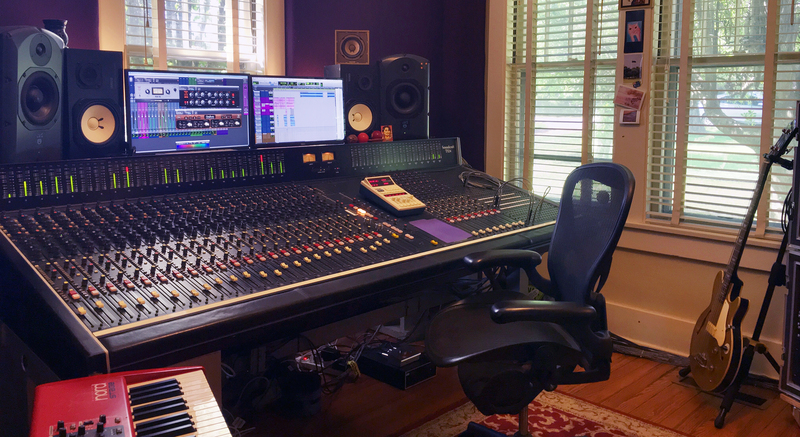 The studio is on a quiet street in Inglewood Nashville. There is plenty of parking. Historically Artec has been in many places. We first started in Adelaide South Australia in an old shop, we then moved to a larger studio that was Ex "Peppers" in the city of Adelaide. After that we moved cities to a home in Willoughby, Sydney Australia. We thought our moving was over when we relocated into a commercial facility in Crows Nest that was attatched to a major post production house, but times changed and we built a studio at an old school just up the road in Narremburn. That school eventually turned into flats so it was back to the Post house again... they loved us there, we eventually out grew that space and moved into a purpose built 2 room facility on the corner of Willoughby Rd and Chandos St Crows Nest, where we stayed for 10 years. As the industry changed again we then moved to a smaller space before making our next and most exciting move to Nashville TN USA, which is where you find us today... yes we've been around and learnt a lot.